Wine Wednesday brings a drink we served this year at our Holiday Open Houses, a G2. Or better known as a Gruet and grapefruit juice. A spin on a mimosa, but swapping out the orange juice for grapefruit juice. As we head into a few holiday week-ends, thought it might be fun to mix it up a little. This is also a shout-out for Gruet, which is a sparkling wine made here in the US. It has become one of my very favorite sparkling wines to serve for a large gathering, when serving Champagne to a crowd is not in the party budget. 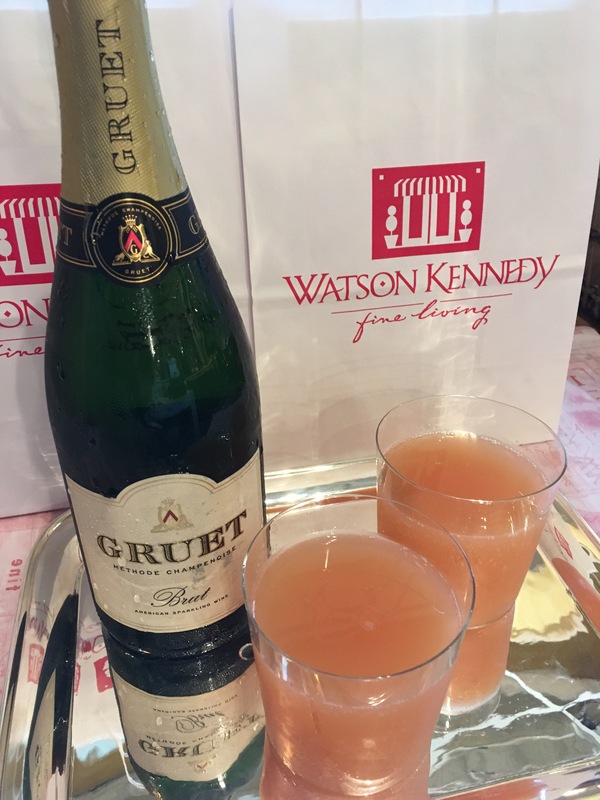 From the maker: Founded in 1984, Gruet Winery specializes in Methode Champenoise sparkling wines. Family owned and run, the New Mexico-based winery produces Pinot Noir and Chardonnay-based sparkling wines and a small collection of still wines, with roots originating from Gilbert Gruet’s Champagne house in Bethon, France. More than 25 vintages later, Gruet Winery has achieved unprecedented acclaim and remains a favorite of the nation’s top sommeliers. 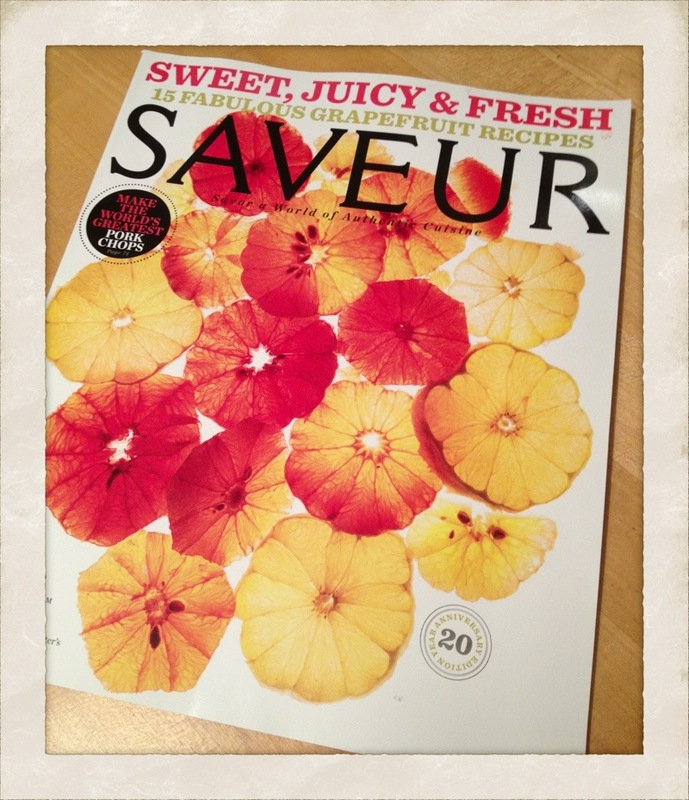 The latest issue of SAVEUR arrived in the mail at home yesterday. What an amazing cover! The grapefruit slices looking like a bouquet of flowers. A really incredibly beautiful bouquet of flowers. 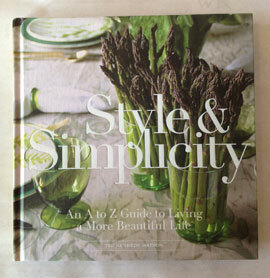 Not sure I have seen a cover on a food magazine in recent memory where I was so taken with the image. Yes, I am completely judging this magazine by the cover, as a twist on the saying goes. And this time I was completely right to do so. The magazine is always one of my very favorite, but this article with many, many grapefruit recipes is just so darn good. Risotto with grapefruit and seared scallops. Where do I sign up? Amazing. Grapefruit and sugar rubbed pork tenderloin. Oh my. I crave citrus at this chilly time of year. These recipes will keep us busy eating gorgeous grapefruit filled dishes for quite awhile. There is something about the chilly Winter months where I just crave citrus. We also both love grapefruit, so I thought I would come up with a salad using them that was savory that we could have in the evening. I am also somewhat on a superfood kick, as so many ingredients that have made the lists I have read about in the past year are foods we really enjoy–walnuts and avocados being on said lists. Off we go! Cut up an avocado and assemble on a plate. Then add slices of grapefruit about. In a small bowl add a dollop of Dijon mustard, a bit of grapefruit juice, a pinch of salt, and whisk in extra virgin olive oil for a vinaigrette. 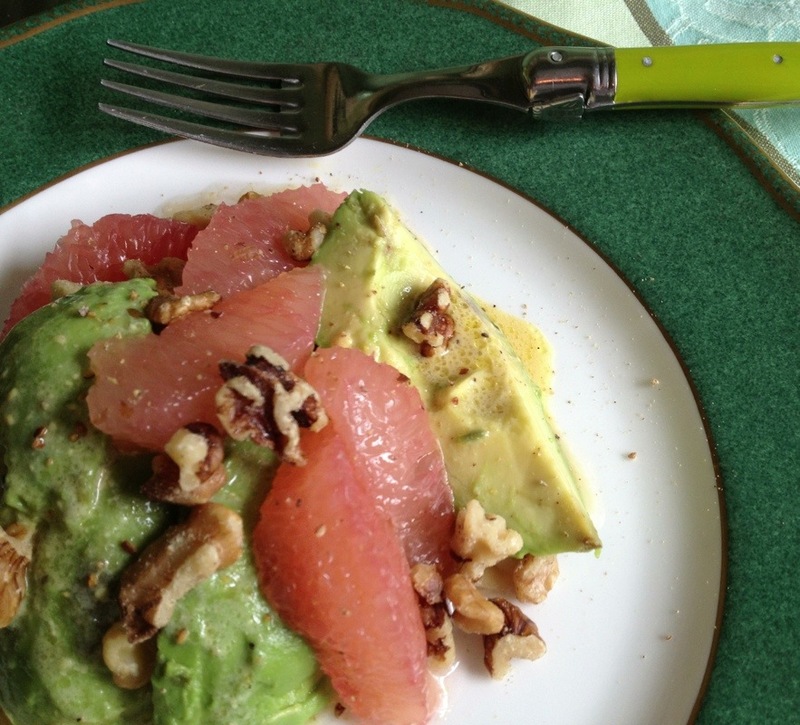 Spoon over the waiting avocado and grapefruit. Dry roast a handful of walnuts that have been chopped up for a few minutes to really bring out the oil and flavor. Add them to the top. Lastly, be quite liberal with the grinder, grind freshly cracked black pepper over the entire concoction, creating a pepper snow of sorts over the entire plate. A healthful salad packed with interesting flavors.